The Board Members are charged with the management of the Company. 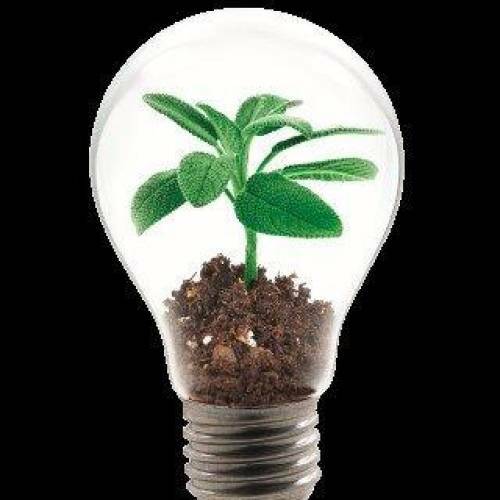 The responsibilities include the policy and business progress within the Company. 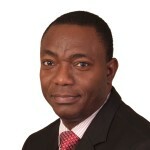 Mr. Jacob Moyo Ajekigbe is the Chairman of the Board of Directors of FrieslandCampina WAMCO Nigeria Plc. He joined the Board of the Company as a Non- Executive Director on 25 November 2009, and was appointed Chairman of the Board on 29 April, 2010. He holds a Bachelor of Science degree in Agricultural Economics from the University of Ibadan, Certificate in Investment Planning and Appraisal from the University of Bradford, UK; an MBA degree from the University of Lagos and an MA degree in Global Affairs from the University of Buckingham, UK. Mr. Ajekigbe, formerly the Managing Director/ Chief Executive Officer of First Bank of Nigeria Plc, had an extensive experience in banking spanning 32 years. He has also served as a Director and Chairman on the boards of FBN (Merchant Bankers) Ltd and Kakawa Discount House Ltd. He was a Director on the boards of First Pensions Custodian Limited, FBN Bank (UK) Ltd, V-Networks Nigeria Ltd ( now Airtel ) and Transnational Corporation of Nigeria Plc. Mr. Ajekigbe currently serves on the boards of some not- for -profit organisations, and he is the Chairman of Keystone Bank Ltd. He is a Fellow of the Institute of Directors, and a Fellow of the Nigeria Leadership initiative. Mr. Ben Langat is the Managing Director of FrieslandCampina WAMCO Nigeria Plc. He joined the Board as Managing Director on March 13, 2017. Until June 2016, Langat was the Managing Director of Nigerian Bottling Company Limited, Coca Cola Hellenic Bottling Company where he led major business transformation, route to market plan growing volumes and market share and delivered double digit growth despite economic challenges. He further expanded the business into new categories including the successful launch of Pulpy. He developed a strong talented team for the business over the period. Langat has over 24 years work experience spanning various senior management roles in Unilever Kenya, Malawi and Ghana respectively. He also held the position of Finance Director of Nigeria Bottling Company from June 2009 to October 2012. Ben Langat, a Kenyan, is an Accountant by profession with a degree in Commerce at the University of Nairobi, Kenya. He is an alumnus of Harvard Business School, Boston having completed the Advanced Management Program (AMP 191). He has done several professional courses including the Excel Leadership program from IMD, Lausanne. 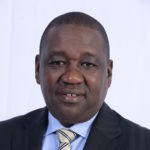 Langat is a Certified Public Accountant of Kenya CPA(K) and a member of the Institute of Certified Public Accountants of Kenya (ICPAK) and former council member Kenya Institute of Management (KIM). Rev. Isaac Ade Agoye is a Non-Executive Director of FrieslandCampina WAMCO Nigeria Plc. He joined the Board of the Company as Finance Director in 1996. He later served as the Corporate Affairs Director /Deputy Managing Director of the Company from 2005 -2010. Rev. 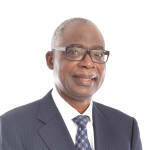 Agoye was appointed as a Non-Executive Director on 1 January 2011. Rev. Agoye is a fellow of the Institute of Chartered Accountants of Nigeria and did attend various management training institutions including, IMD Lausanne Switzerland, Lagos Business School and International Graduate School of Management (IESE), Barcelona. 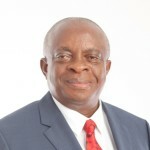 He is also an associate member of the Institute of Directors, the current Vice President, Manufacturers Association of Nigeria (Lagos zone), Honorary National Treasurer, Manufacturers Association of Nigeria, a member of Lagos Research and Development Council, a member of the last Governing Board of the National Bureau of Statistics (NBS) and the General Overseer of The New Life Miracle Church. Mrs. Oyinkan Ade-Ajayi is a Non-Executive Director of FrieslandCampina WAMCO Nigeria Plc. She joined the Board of the Company as a Non-Executive Director on 23 November 2006. Mrs. Ade-Ajayi’s work experience straddles both the world of education, publishing and marketing.A graduate of Homerton College Cambridge and London Business School. 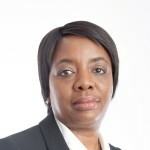 She has extensive experience in Strategy and Global Marketing as well as Consumer Brands marketing, which she acquired whilst working with international organizations including Unwin Hyman Publishers, SmithKline Beecham in London and the Red Cross Children’s Hospital in Cape Town, South Africa, amongst others. 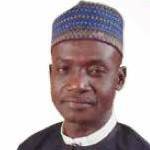 Engineer Mustafa Bello is a Non-Executive Director of FrieslandCampina WAMCO Nigeria Plc. He joined the Board of the Company as a Non- Executive Director on 1 March 2016. Engineer Bello has extensive experience in both the public and private sector having served in various capacities in both sectors. He served as the Minister of Commerce of the Federal Republic of Nigeria from 1999 – 2003, a Member of the National Council for Revitalization of the Nigerian economy, 1999 – 2003, Member of the Economic Management Team (EMT) of President Olusegun Obasanjo, 2003 – 2007, the Chief Executive Officer of the Nigeria Investments Promotion Commission (NIPC) from 2003 – 2014. He also served on the board of ESKOM, the ElectricityCorporation of South Africa from 2004 – 2008. He holds a Bachelor of Civil Engineering degree from Ahmadu Bello University, Zaria (1978). He is also a member of the Nigerian Society of Engineers and the Council of Registered Engineers of Nigeria. He was a Member of the Board of Directors of FrieslandCampina WAMCO Nigeria Plc. from November 2007 to April 2008. Mr. Peter Eshikena is the Managing Director of FrieslandCampina, Africa and the immediate past Managing Director of FrieslandCampina WAMCO Nigeria Plc. He joined the services of FrieslandCampina WAMCO Nigeria Plc in 1985 as Shift Production Manager and rose through the ranks to become the Sales Manager in 2007. He was appointed to the Board of the Company as Sales Director/Deputy Managing Director on 1 January 2011, appointed as Managing Director on 1 September 2012 and appointed as a Non-Executive Director on 1 January 2015. Mr. Eshikena holds a Higher National Diploma in Mechanical Engineering from Yaba College of Technology, MBA degree from University of Navarra Spain and also attended Lagos Business other developmental courses. Mr. Roel Van Neerbos is a Non-Executive Director of FrieslandCampina WAMCO Nigeria plc. He was appointed as a Non- Executive director of the company on the 1st of January 2017. 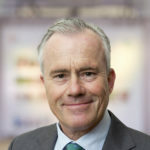 He is the Chief Operating Officer of FrieslandCampina Consumer Products Europe, Middle East and Africa and a Member of the Board of Royal FrieslandCampina N.V. Prior to this appointment, he held the position of Chief Executive Officer of MAXEDA DIY GROUP. He was appointed the President Continental Europe and President Global Ketchup Heinz in 2011-2013, he worked with MATTEL in 2001-2005 as Vice President Iberia EEMEA and Latin America. He was appointed Marketing Director, PROCTER & GAMBLE 1992-1997, General Manager, Vice President MOROCCO&BABYCARE, middle East/Africa 1999 – 2001. He served as Marketing Manager PAMPERS & ALWAYS, Punica, Holland 1991- 1992, Brand Manager Dreft & Pampers, Holland 1989-1990. Mr Roel Van Neerbos studied Business Administration and obtained a Master’s Degree from Groningen University. 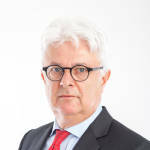 Mr. Robert Steetskamp is a Non-Executive Director of FrieslandCampina WAMCO Nigeria Plc. He was appointed as a Non-Executive Director of the Company on 1 September 2012. He began his career working in various capacities within key multinationals as Procter & Gamble, Beecham, Warner Lambert and later Henkel Benelux in Europe. 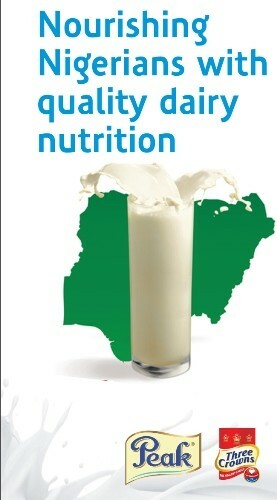 He later joined FrieslandCampina as General Director between 1994 – 2000. In 2000, he became the Director Strategic Business Development (Corporate, HQ) and in 2005, he became the Managing Director of FrieslandCampina, Russia/CIS and in 2009 became the Managing Director of FrieslandCampina WAMCO Nigeria Plc. Mr. Steetskamp is an astute leader who has continued to raise the bars and standards of FrieslandCampina in the various capacities he has worked in the last twenty-one years. He holds a degree in Commercial Economics from HES Amsterdam (Academy for Economics Studies).